In most instances these messages from AbtracOnLine are enabled and display automatically regardless of your settings, but in some cases we find that these pop-ups are blocked. This is more likely to happen to messages that are security related rather than for the day to day messages and warnings from Abtrac. Most commonly when a user is downloading pdfs of multiple files like invoices. If your message or file downloads have been blocked you’ll see a notification in your browser bar like this one. 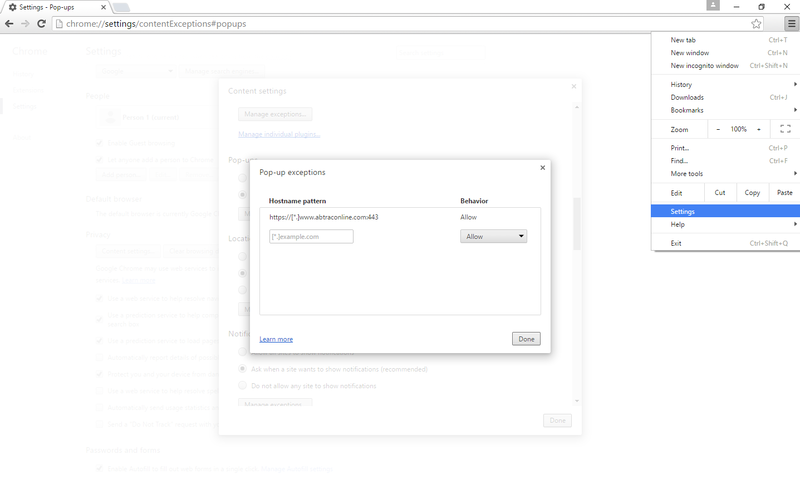 Click on the Google Chrome notification to enable the download, and always allow pop-ups from AbtracOnLine. You can check and mange Pop-up blocking for AbtracOnLine directly by adding the address below as an exception to your Chrome security settings. This entry was posted in Getting Started, Invoicing, IT Tips & Requirements, Tips & Tricks and tagged chrome, downloads, Invoicing, pdf by Jen. Bookmark the permalink.